David Shield Photography | What happens before and after the camera shutter is released! Read the stories, techniques and image workflow. Each year during this time, I use my images to promote a simple, yet very important message. If this message could help save just one woman’s life that would be a priceless victory. Having a regular mammogram can provide early breast cancer detection. This can give a woman and her doctor a much better chance to fight this disease, and that can help save a woman’s life! Be educated about fighting breast cancer, and please share this message. All featured images were taken during sunrise, at Botany Bay Beach, Edisto Island, South Carolina. For more information, please visit the official http://www.breastcancer.org/ website. This entry was posted in Breast Cancer Awareness Month, Health, Life, Photography, Reaching Out and tagged breast cancer awareness, breast cancer awareness month photography women life, color, life, light, Message, nature, photography, south carolina, Women on October 18, 2016 by davidshieldphotography. Adding a camera support system to your gear, consisting of a tripod and head, opens up an entire new world of shooting possibilities, not possible with handheld photography. There are many tripod set-up options available, and surfing the web can quickly become overwhelming. When it comes to a camera support system, quality is of utmost importance, after all a tripod and head needs to function smoothly and accurately to give you the best opportunity to capture a sharp image, not to mention keeping your camera secure. That is why I was both thrilled and honored to have the opportunity to work with the Really Right Stuff Company, but seriously, they do not need my approval. The really right stuff company started out in 1990, and currently ship their gear to over 120 countries. They have turned into a huge success, for good reason. The quality of their product is exceptional, and provides both pro and amateur photographer with a wealth of camera support gear necessary to capture great images. As a landscape photographer, I have gone through several different tripod and ballhead combinations. Now, after 16 years of photographing in the field, I am fortunate enough to be in a position where I can choose photo gear which will give me the best chance possible to get the shot. Right out of the box, my RRS gear felt different than any other camera support gear I have used, giving me an instant feeling of having a professional quality product with me in the field. Using RRS equipment, has actually given me the chance to set up in more shooting situations than ever before. The piece of mind I have knowing my camera is on such solid support is invaluable, from the feel of the camera being firmly attached to the tripod and head, to the super-smooth action of adjusting the tripod legs and positioning the ballhead, for every shot. Whether shopping for a complete system package or individual piece of gear, Really Right Stuff carries everything required to keep your camera firmly supported in just about every situation. After careful research, I had no hesitation in upgrading to an RRS support system. I found their website to be very informative, and in no time I was able to find the best package to suit my needs. However, if more help is required, customer support is available by both phone or email, and the response time is typically very fast and very helpful. The RRS gear I chose to be my prime camera support system, is listed below. To help you select the right tripod, the RRS website includes an illustrated guide, specifically designed to match the length of each tripod model with the physical height of the photographer. I thought this was a very nice touch. Included in my package is a dedicated quick release L-Plate, which attaches to the camera, and is available for most DSLR models. The L-Plate makes the transition between shooting horizontal and vertical format, incredibly quick and smooth. For the ballhead, I chose lever-release over screw-knob as my preferred clamp option. This option allows for maximum speed during set-up, as well as offering maximum camera stability. It may have taken me a while to get on the Really Right Stuff band wagon, but now I have, I could not be happier. Their gear receives my highest recommendation. This entry was posted in David Shield Photography, landscape photography, Photography, Product Review, Travel and tagged california, gear review, landscape photography, national park, nature, photography, really right stuff, review, travel, tripod on October 11, 2016 by davidshieldphotography. Above the image of Hanalei Bay, is the Mission Statement I have used for my website, since it was created almost five years ago. More than any social media appreciation I have been fortunate to receive and more than image print and media sales, this is the most important goal I continue to wish for and work toward. If you have watched a political debate recently, you may have heard a candidate claim that America is great, or America is the greatest nation in the world. I believe that verbiage would be more accurate if the word “is” were changed to “could be.” While there is so much good about America, there is also too much suffering and wrongdoing, to make the claim that this is the greatest nation, today. What America does have an abundance of, is great natural beauty. Now, more than ever, I strive to be one of many photographers, not only in America, but all over the world that through our images of nature, show humanity that this world is a truly beautiful place. If all people, no matter what color, religion or beliefs make an effort to be better to each other, every day, it is possible that we will start to see the world for how beautiful it is, and never again ask the question of the Mission Statement posted at the beginning of this writing. This entry was posted in Commentary, David Shield Photography, Humanity, landscape photography, Life, Message, News, People, Photography, Reaching Out, Travel, World Peace and tagged california, color, hawaii, landscape, landscape photography, life, light, moonlight, national parks, nature, peace, people, photography, sunset, travel, world peace on December 7, 2015 by davidshieldphotography. With my last new image for the month, I am hoping to make more people aware of the importance of regular mammograms. If discovered early enough, a woman can beat cancer. I did not know this, until witnessing it firsthand. It made me realize how important it is to share this message. The gathering at North Lake takes place at sunrise, during fall in the Eastern Sierras. I arrived here while it was still dark, and was greeted by an early season snow storm. Using my headlamp to navigate the area, I quickly found a spot to set up, just before the place became overrun with photographers. The storm broke for a short time during sunrise, allowing for a small window of opportunity to capture some High Sierra Mountain light. 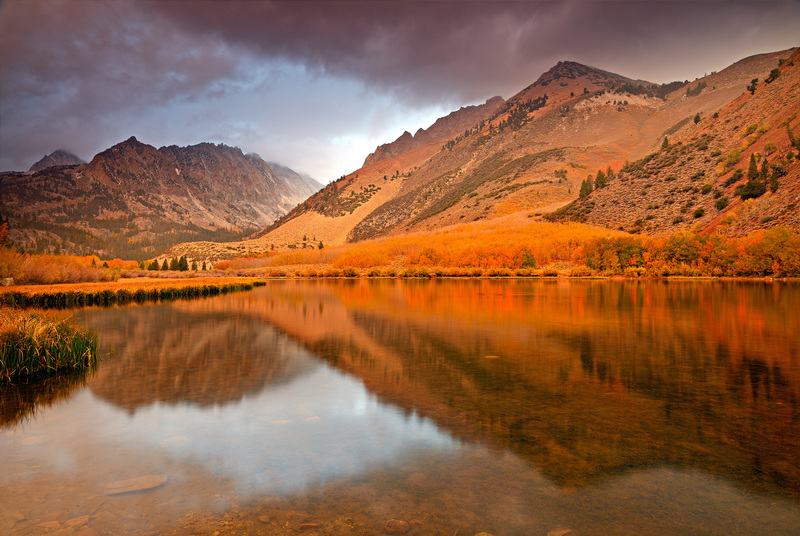 This entry was posted in Commentary, Health, landscape photography, Life, Message, Photography, Reaching Out, Women and tagged autumn, breast cancer awareness, california, clouds, color, david shield photography, eastern sierras, fall, foliage, morning, mountain light, north lake, sabrina basin, storm, sunrise on October 18, 2015 by davidshieldphotography. 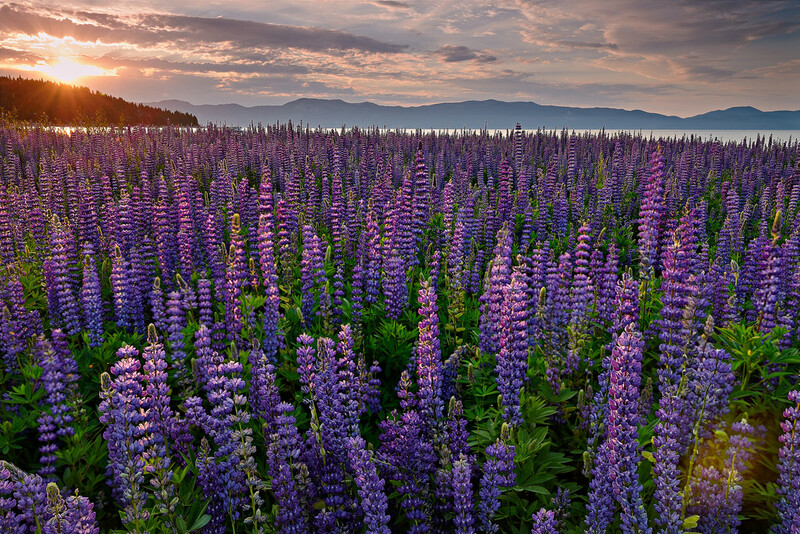 The day’s first sun rays awaken a beautiful lupine field, during a summer sunrise at Lake Tahoe. Recently I experienced one of the most beautiful scenes I have witnessed, while photographing wildflowers at Lake Tahoe. However, even with the excitement of capturing new images, I could not ignore the sadness I felt during my visit here. Not that long ago, this particular view could not be experienced. The recent record-low snow pack has resulted in a dramatic drop in Lake Tahoe’s water level. Due to this fact, both locals and visitors could now experience the immense beauty of an area once completely under water. Standing in the middle of all this, taking in the breathtaking show, my goal was to photograph the beauty. However, my biggest hope is that the coming winter produces a large enough snow pack to return Lake Tahoe to a healthier level. 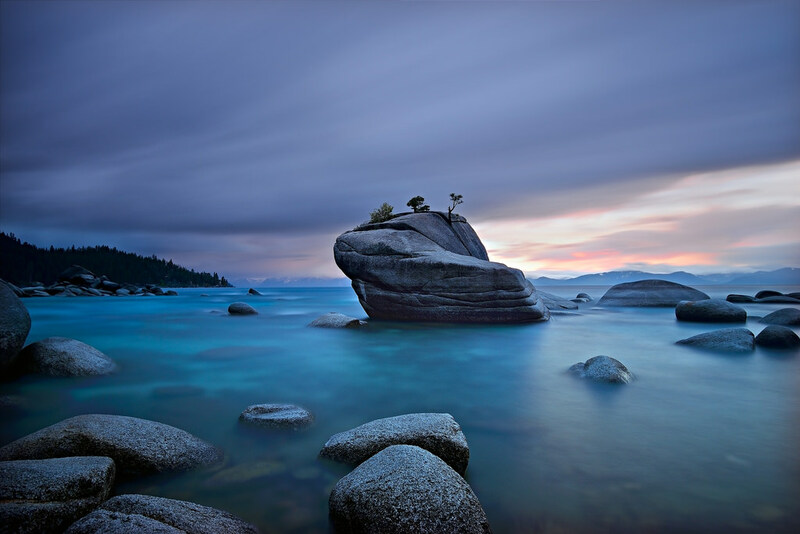 This entry was posted in Commentary, David Shield Photography, landscape photography, Message, Photography, Travel, wildflower photography and tagged beach, california, color, commentary, eastern sierras, keep tahoe beautiful, keep tahoe blue, lake tahoe, landscape, landscape photography, lupines, sunrise, wildflowers on July 23, 2015 by davidshieldphotography. A colorful dramatic sunrise at Natural Bridges State Beach, in Santa Cruz, California. I wanted to do something different, and share a story with my latest image. Just over a year ago a mother moved to the U.S. to be closer to her son. For years and for various reasons she had not taken the time to make any medical appointments. Now in the U.S. she was encouraged to take better care of herself and sign up for a medical plan. This led to her having a routine mammogram followed by a biopsy, and then being diagnosed with breast cancer. Learning that she had breast cancer was a shock and very scary; however in this case the fortunate thing was the cancer was detected early, at stage one. The oncology doctor scheduled the woman for the necessary lumpectomy surgery, and after some recovery time and tests it was thankfully confirmed that the woman had beaten breast cancer. I hope by writing this short story, I will be able to reach out to someone who will think about reminding their wife, sister, daughter, girlfriend and of course mother to have regular mammograms. This is so important and means a lot to me. Cancer is a very hard word to hear, but if caught early, the chances of survival can increase enough to save many lives. This entry was posted in Commentary, Health, Message, Photography, Reaching Out, Travel and tagged beach, breast cancer awareness, california, coast, color, david shield photography, health, high tide, natural bridges state beach, sunrise on December 4, 2014 by davidshieldphotography.